UNDER CONSTRUCTION PLEASE DO NOT USE THE FOLLOWING FORM MAILER YET! If you are interested in looking for a propety and would like for us to find you the perfect one please fill out the following form and we will get back with you as soon as possable. For Information Regarding Callender Realty Please Contact Jan Allen . Callender Realty, 701 N.Center St, Bonham, TX 75418. © 2005-07 Callender Realty & Edman Designs, All Rights Reserved. Welcome to www.Callenderrealty.com, the most comprehensive web site available for real estate in Fannin County - Bonham, Texas area. Homes For Sale, Real Estate, Realtor, Agent, Real Estate Agent, Real Estate Broker, Relocation Home, Homes, Houses, Real Estate, Realtor, Realtors, Agent, Agents, Broker, Brokers, Relocation, Moving, Bonham, Texas, Fannin, Grayson, Lamar, Hunt, Collin, County. The brokers, agents, and staff members at Callender Realty are committed to not only providing quality service but to be trendsetters by ensuring that the public as a whole and our clients and customers know that their needs are put first in every phase of the home buying/selling process.We want everyone to see that the Texoma area of North Texas has a great deal to offer and is a wonderful place to live. We are dedicated to doing our part to make this an even more fantastic community.Callender Realty owners and agents are virtually unmatched in their experience and expertise in the real estate industry with many years of working knowledge of commercial, residential, as well as land transactions in and around the DFW Metroplex area.Our office is located in a lovingly restored 1916 Arts & Crafts home near downtown Bonham Texas. It shows our love of “home” when you walk in the door.The broker/owner of Callender Realty is Jan Allen. 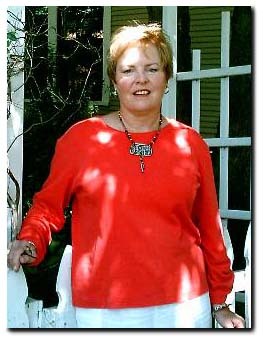 She and her husband, Lee moved to Bonham in 1998 and opened their mortgage quality control auditing company, Callender Mortgage Services, here at that time. This business as well as their Mortgage Brokerage business also share this office space.Lee and Jan have made Fannin County their home and are involved in many church, civic, and community organizations.Callender Realty wants to be know as a company with “small town values with big city expertise”.We invite you to stop by anytime and have a cup of coffee and visit. We look forward to working with you. Don't miss this charmer! 3bed & 2bath on oversized corner lot. Well laid-out older home, newly renovated. New carpet, paint, cabinets, etc,& ROOF! New wood floor in living room and dining area. Large producing pecan tree in the front, covered deck in the back. Back yard is fenced in two sections. Garage split between parking for 1 car and large storage,work area. Edman Designs - Let Websites Work For You! (903)640-3411. Graphic Creations - Contact Jeremy Jones Today! Zion Kennels - Dog Training and Boarding- Indoor Kennels and Huge Dog Play Areas!